The Physics of the Star Wars BB-8 Droid: How Does It Work? Fans of Star Wars are rejoicing with the release of the seventh episode in the series, The Force Awakens. With it comes a new robot, the BB-8, that has immediately captivated viewers at first sight. It is an astromech droid in the Star Wars Universe. An awesome new toy version is available, made by Sphero. It’s a remote controlled robot that rolls without the use of external wheels. Regardless of how the robot functions in the Star Wars universe, it’s probably not too different from the way the toy version works. Rumors from production claim Sphero’s technology helped with the development of the actual BB-8 and there was also some puppetry involved in the film version of the droid. How do you make a sphere roll without pushing it? 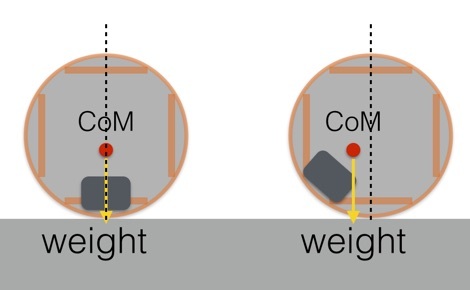 An article in Wired recently explained that you need a moveable mass inside the sphere. The mass could be any number of things, like a tiny car with wheels, or a hamster. We’ve probably all seen how a hamster rolls one of those plastic see-through spheres from running on the inside of it. Whatever the mass is, when it moves up the wall of the sphere a little bit, the center of mass for the whole sphere shifts. When the center of mass shifts away from being vertically over the contact point, there is an external torque on the sphere. The contact point is where the movable mass lies within the sphere. Torque is the tendency of a force to rotate an object about an axis. This torque then increases the angular momentum of the sphere and causes it to roll. In physics, angular momentum is the rotational analog of linear momentum, meaning the momentum of the spinning sphere will keep spinning until a force acts upon it. This is similar to an object moving in a linear line – it will keep moving in a straight line until a force acts upon it. The angular momentum of a system remains constant unless acted on by an external torque. Once the sphere starts rolling, the inside mass could just stay at the lowest point—except there is some external friction which will require the inside mass to continue to ride up the side and provide some torque. The external friction is the floor surface on which the sphere is rolling on. 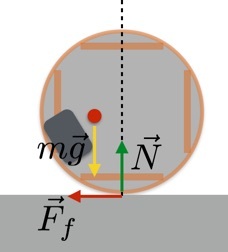 When the inside mass moves up the wall, there is an external force to accelerate the sphere horizontally—friction. Here is a more detailed image showing all the forces on the sphere when the mass moves up the wall. As far as the head of the robot goes, it uses a magnet to stay on. There is probably some type of magnet inside the sphere to attract a magnet inside of the head. The head then has rollers so that it can roll along the top of the sphere. The inside magnet would have to be movable so that you could make BB-8 do fun head moves. This is truly an adorable, awesome addition to the Star Wars Universe. I for one would love to see a buddy movie spin off featuring BB-8 and R2-D2. In Star Wars The Force Awakens, the galaxy is going to face a new threat, The First Order. This new evil empire has a super weapon capable of destroying whole solar systems, which they keep at their base of operations: Starkiller Base. writers like to reference that fact with easter eggs throughout the Star Wars universe. It seems though that the First Order are using the name literally and that their new weapon may actually be able to destroy stars. 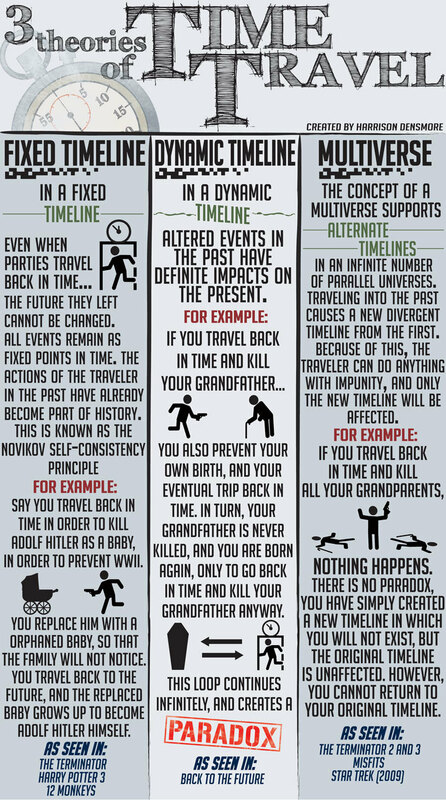 Leaving aside for now the question of what this could mean for the Galaxy and our heroes, let’s first ask the question: how would that even work? Watch the video below to see how we break down the galactic science behind star killing. The gravity that holds the star together is delicate. If the amount of stuff in the star doesn’t stay dense enough the explosions at its core will start to expand out in a massive explosion called a Supernova. So, if you want to make a star go supernova, you just have to add enough energy to make its mass outweigh its density. a laser finely enough to push individual atoms, you can slow down their rate of movement and cool off the structure their part of. How does this help with our star problem? Well simple, the exploding stuff acts like a core reactor. But, if you reduce the temperature of the core, you’ll also decrease its amount of fusion. The star’s balance of gravity and expansion will be thrown off and it will collapse in on itself, and boom goes the dynamite. The video dives deeper into the science, but basically that is the scientific method for star killing. Remember kids, don’t try this at home.